Are you heading overseas? If so, it’s important to take steps to protect yourself and your family from disease and illness by booking in for a travel medicine consultation with us! Whether you’re planning to relax on a beach in Thailand or climb Machu Picchu in Peru, it’s important to be well informed about the kinds of health concerns that could arise while you’re away. You may also be required by law to produce evidence of Yellow Fever Vaccine to gain entry to certain countries. Our Sandringham travel doctors can let you know if this is a requirement. In addition to offering advice about vaccinations, we’ll explain other important health risks to be aware of, such as malaria, dengue, Zika virus, rabies, traveller’s diarrhoea and altitude sickness. Why choose us as your preferred travel doctor? We offer tailored travel advice, based on your itinerary and individual needs. Our Sandringham travel doctors are up-to-date with all of the latest medical developments around the globe and regularly attend conferences, both locally and internationally, to remain informed. What’s more, our doctors are well-travelled, so we can often offer first-hand advice about the kinds of issues you may encounter. We may even have a few friendly sightseeing tips for you! If you do happen to require travel vaccines before you depart, we offer the convenience of being able to administer them right here at our Sandringham medical clinic. We stock a comprehensive range of vaccines, including Yellow Fever, as well as medical travel kits. For a full list of the travel vaccines we offer, please click here. When to book and for how long? Ideally, it’s best to book an appointment six weeks or more before your departure, but it is never too late. Please make a 30-minute appointment with one of our travel doctors – Dr Jason Rajakulendran, Dr Joan San, Dr Nick Kokotis or Dr Cora Mayer. Please call our Sandringham medical clinic on 9598 6244. Please download and complete this pre-travel form before arriving at your appointment. It asks for details about the purpose of your trip, the kind of accommodation you’ll be staying in, your medical history and past vaccinations, so that we can advise you appropriately. If you’re travelling abroad, be sure to arrange appropriate travel insurance, should something unexpected happen. It’s also a good idea to browse the Smart Traveller website for travel advice and register your details with them before you leave, so that the government can contact your family in the event of an emergency. 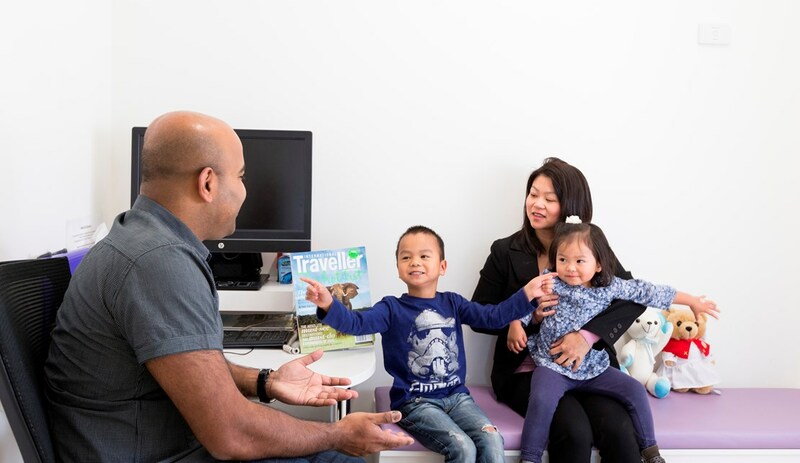 Our Sandringham medical clinic is proud to be associated with Australia’s premier national organisation of independent travel medicine professionals, known as the Travel Medicine Alliance (TMA). With more than 40 clinics nationally, we have access to international travel health databases and other contemporary medical resources. To book a Travel Medicine appointment, please call our Sandringham travel clinic on 03 9598 6244. We hope you have an enjoyable trip and look forward to hearing about your adventures on your return!